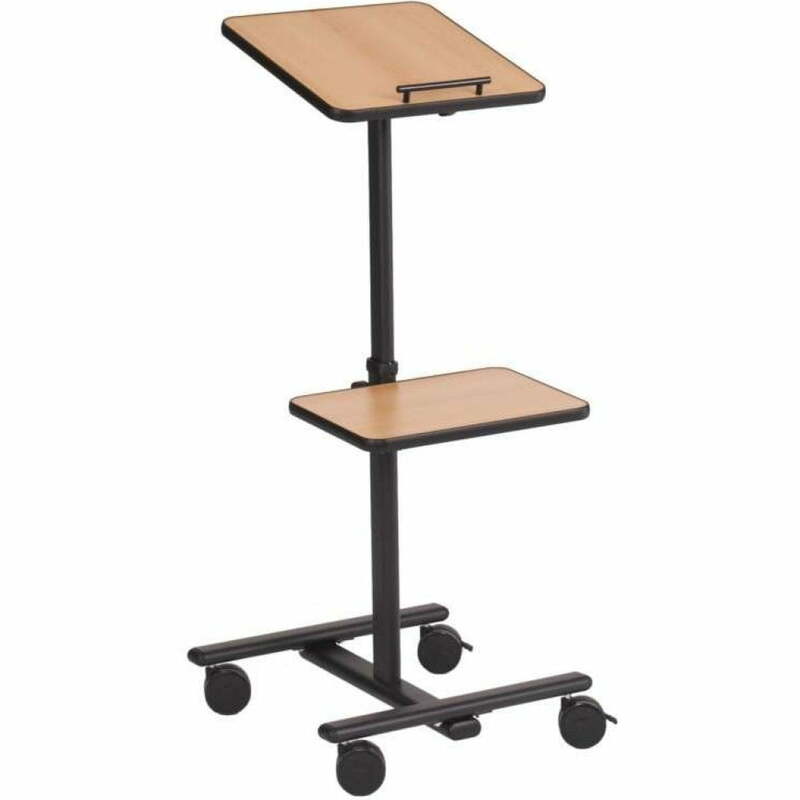 This simple, height adjustable lectern is ideal for presentations. The sturdy metal frame and beech platform ensure that any equipment placed on it is secure as well as looking good. 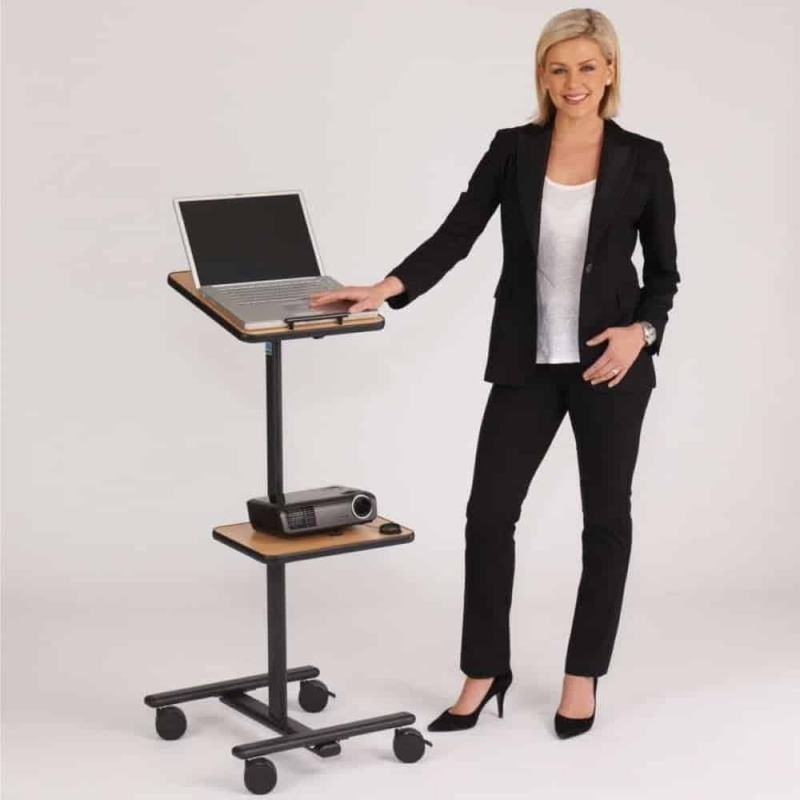 This mobile multi-media trolley has a height adjustable platform that can also tilt for optimum projector positioning. Platform measures 350 x 400mm and can angle and lock in place; also making it ideal for use as a lectern. Min height 800mm, Max height 1200mm. The substantial steel frame is mounted on 4 castors, 2 of which are lockable. Optional side platform available which measures 300 x 350mm. An optional side platform / shelf to support a laptop is also available.